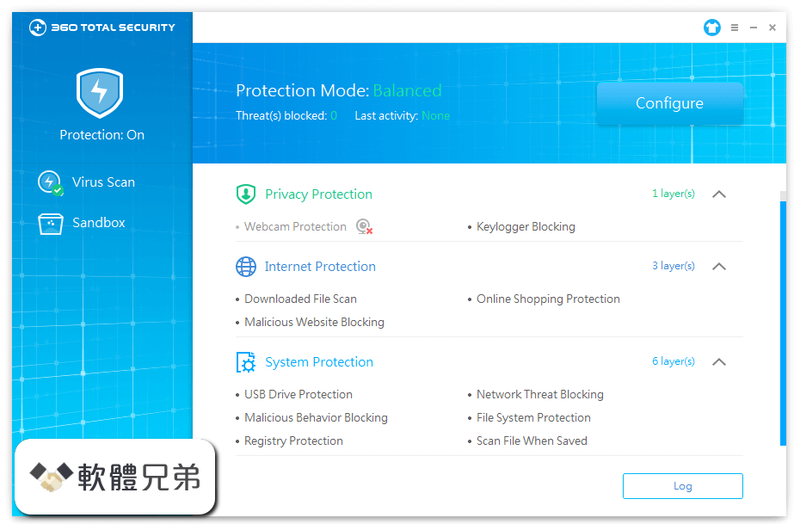 360 Total Security Essential 會主動提醒您. 安全瀏覽和隱私保護至關重要。 360 Total Security Essential 讓您遠離釣魚網站，阻止惡意下載，並阻止未經授權的密鑰記錄器和攝像頭訪問程序竊取您的個人信息. 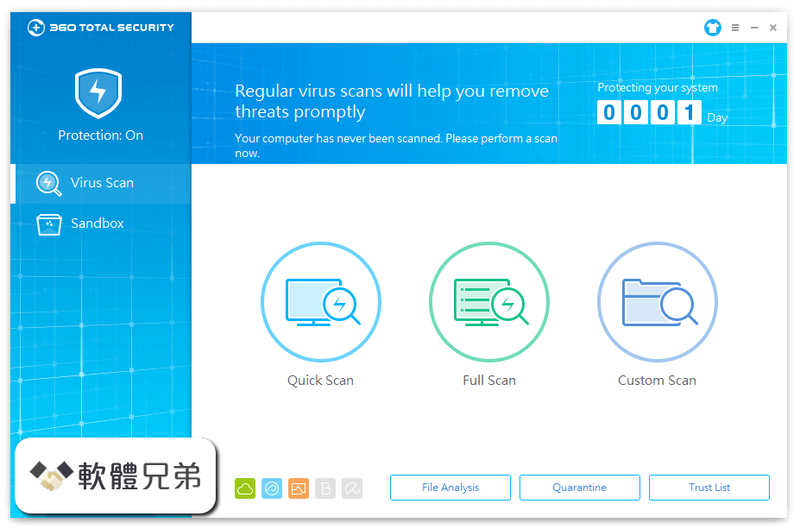 集成 360 雲引擎，360 QVMII，Avira 和 Bitdefender 獲獎的殺毒引擎為您提供最終的病毒檢測和保護功能. 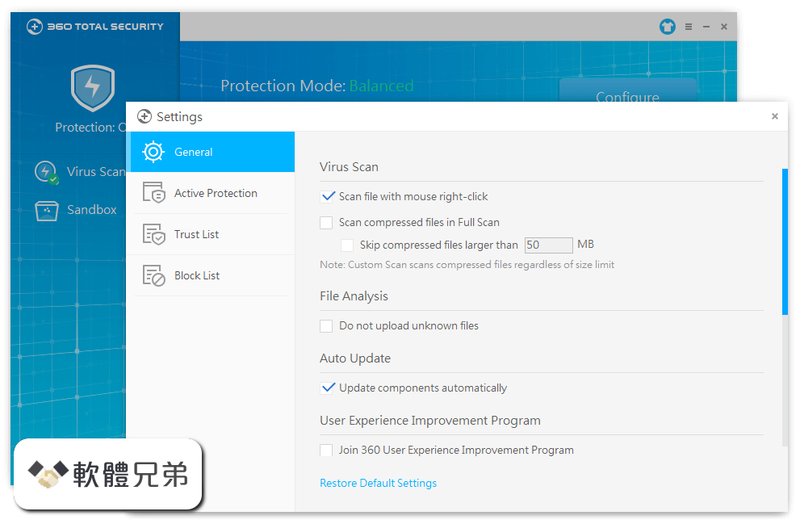 Download &middot; 360 Total Security Essential 8.8.0 Build 1049. Date released: 27 Nov 2017 (one year ago). 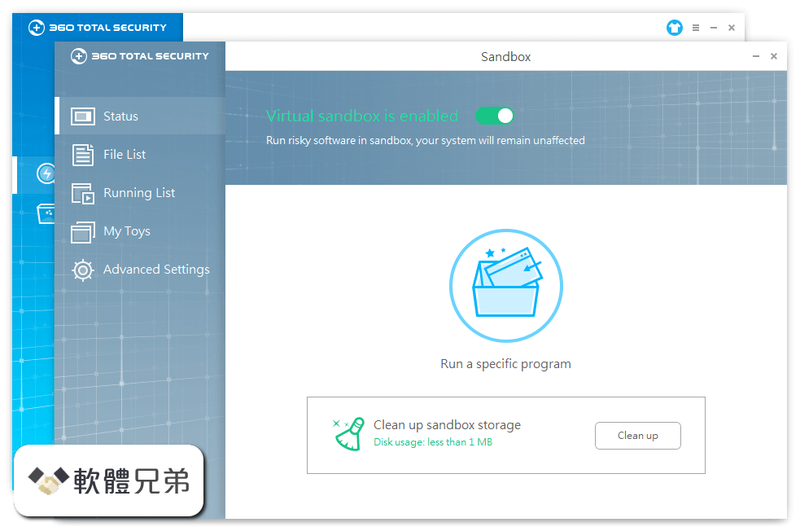 Download &middot; 360 Total Security Essential 8.8.0 Build 1047. 360 Total Security Essential utilizes a five antivirus engines to keep your system away from the latest threats.